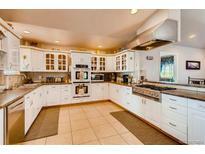 Find Hudson, CO Homes for sale. View Photos, Maps and MLS Data Now! You don't want to miss this one! MLS#9938641. 8z Real Estate. Box Elder Creek Ranch - Don’t miss this rare home in the Box Elder neighborhood. It’s sure to go quickly! MLS#1681267. Porchlight Real Estate Group. NOTE to Buyers & Brokers the tax PIN in MLS is for original 36 acre parcel until Cnty updates system. MLS#8888094. 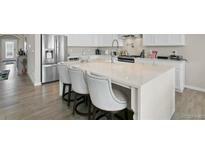 5280 Realty, Inc. The privacy fence makes the yard your very own private park. 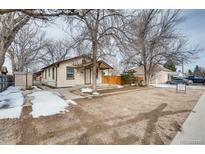 MLS#1872751. Colorado Tenderfoot Properties. Uncommon for an Acreage Property. Move in ready. MLS#4969551. Gardner Realty. Hudson is a lovely, growing community with a new elementary school, library, town hall, and amazing police & fire departments! MLS#6054698. TEAM HERNANDEZ REAL ESTATE. Eligible for 0% down USDA financing. About 30 minutes from Denver! MLS#5972837. The Peak Properties Group. Lot Ren Is $625 Call For A Private Showing Or Any Questions. MLS#8506022. RE/MAX MOMENTUM. Box Elder Creek Ranch - Minutes away from I 76, DIA, Prairie Center Shopping Center, trails, Barr Lake State Park, reservoir & many more! MLS#9604758. ANDY YOUNG REALTY. Sunrise - Gone Country but still just 5-15 min from shopping/restaurants & 30 min to Denver/DIA MLS#4264710. MB KAMIN COMPANIES II. No showings, unless buyer wants to buy home and adjacent lot MLS# 9450958 both properties $825,000 MLS#6275162. Marcotte Real Estate Group. Don't miss out on this opportunity. MLS#8087660. Great Way Real Estate Properties LLC. Eastridge Estates - Put this one on your list of homes to see! MLS#8708218. TEATER REALTY CO. There is ample parking for any work vehicles you may own! Easy access to I-76! 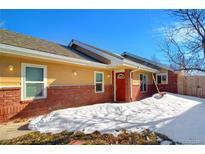 MLS#8201841. COListings Real Estate. 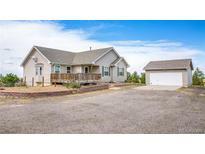 Box Elder Creek Ranch - Was 650 Now 625 Significant Buyer Advantage MLS#8193470. LIV Sotheby's International Realty. Box Elder Creek Ranch - This home is ready for you! MLS#4175894. COListings Real Estate. Small town atmosphere. New sewer line. MLS#7510590. Colorado Tenderfoot Properties. Visit www.newvisiondp.com for tours and plans MLS#4096586. Porchlight Real Estate Group. Additional Red Barn & Tack room 58 x 27 has a loft and large foaling stall, extra space for equipment horses or other types of animals. 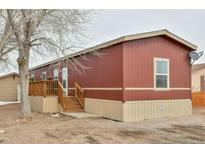 MLS#7032373. RE/MAX NORTHWEST INC.
Nice easy drive. One year home warranty included. MLS#4455360. SELECT REALTY LLC. Call for sales hours and to set appointments. MLS#2170918. Porchlight Real Estate Group. Call for sales hours and to set appointments. MLS#3977600. Porchlight Real Estate Group. Call for sales hours and to set appointments. 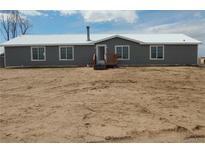 MLS#7686259. Porchlight Real Estate Group. One lot remaining; available September 2018. MLS#5786655. Porchlight Real Estate Group.